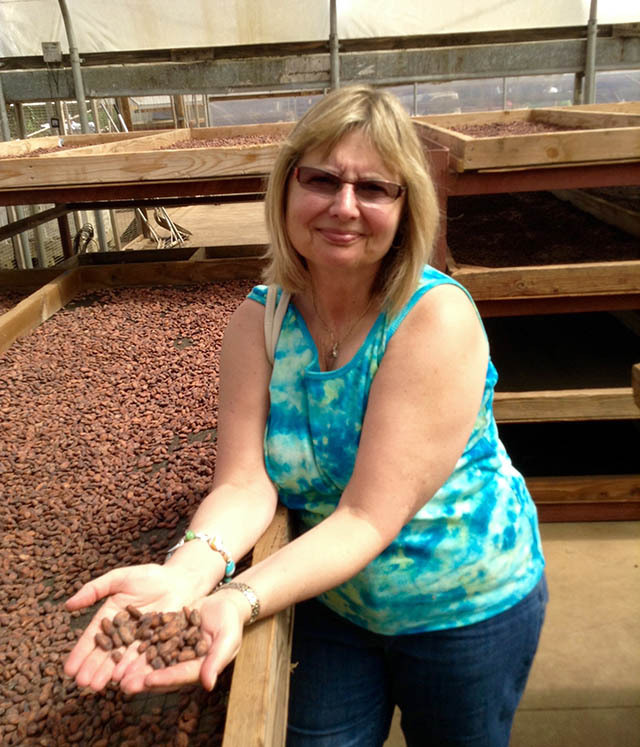 Doreen Pendgracs has been researching the world of fine chocolate since 2009, during which time her tasty research has taken her to 15 countries and counting. We sat down with Doreen to hear about some of her favorite chocolates from around the globe, and why her book, Chocolatour: A Quest for the World’s Best Chocolate, is perfect for travel-loving chocoholics. How did you get into the chocolate business in the first place? I am a travel writer so I started out as a freelance writer in 1993 and wrote my first travel article in 1997—the rest is history. I started doing the things that interested me most. I knew I wanted to write a book, so I began to do some research and there were lots of books about wine (which I love! ), but nobody had done a book on chocolate travel. That’s where my inspiration came from. It’s a great opportunity for me to share my passions and package them into one bundle. Where have you been able to travel in search of chocolate? So far, 15 countries for chocolate. Cacao is only grown 20 degrees north and south of the equator; because of that, most of the world’s cacao is only grown in tropical regions—think rainforest and Amazonian-type areas. They’re wonderful destinations to explore because there’s so much culture and beauty where the cacao is growing. That’s what really captivated me and turned “Chocolatour” into a series and a life-changing experience for me. What’s the best chocolate you’ve ever had and where? That’s a difficult question—there are so many different kinds of chocolate! It’s like if you ask a wine enthusiast what their favorite wine is, there’s no way to choose just one. My taste is always changing depending on my mood, but I would say chocolate made from beans grown in Peru or Madagascar are consistently my favorites. They give the finished chocolate natural fruity notes, and there’s so much flavor that you don’t really have to add anything to it. Got it, it depends! What are you really into right now? Because I’m always receiving chocolate samples I’m constantly discovering new chocolates. Certainly the chocolate I’m eating at the time is my favorite! But, for a bar that’s been enhanced, I love dark chocolate with dried figs in it. There’s quite a number of chocolate makers who do that combination very well. La Chocolaterie Nanairo from Japan does this exceptionally. They’re working with their own Peruvian cocoa beans and making chocolate bars using Japanese-grown black figs. It’s amazing how well the notes of the figs combine with the dark chocolate, in particular with the Peruvian chocolate. What are some of your favorite ways to pair chocolate? I think like goes with like. Several chocolatiers I’ve met, such as Paul de Bondt (of de Bondt Cioccolato) in Pisa, love tea paired with chocolate. De Bondt sells a great selection of teas in his shops. I love pairing Rooibos tea with fruity chocolate because it complements the fruit notes of the tea so well. If I’m eating a really dark chocolate, I’ll drink a bold red wine, like a Malbec or Cabernet Sauvignon, or even coffee. Some chocolate I really love is made with porter beer, and because that style of beer is infused with chocolate, it has an amazing flavor. I wrote it as a travel guide. That way, people can take it in their suitcases and learn about chocolate from the different places they travel. When you talk about European chocolate, none of it is made from beans grown in Europe. Seventy percent of the world’s cacao beans are grown in West Africa, mainly in Ghana and the Ivory Coast. The bulk of these beans go to Amsterdam, which is the number one cocoa port in the world. They’re put into shipping containers and distributed from there. Single-origin chocolate is fabulous because you know precisely where the cocoa beans came from and where that chocolate originated. It’s similar to the “terroir” concept in wine. 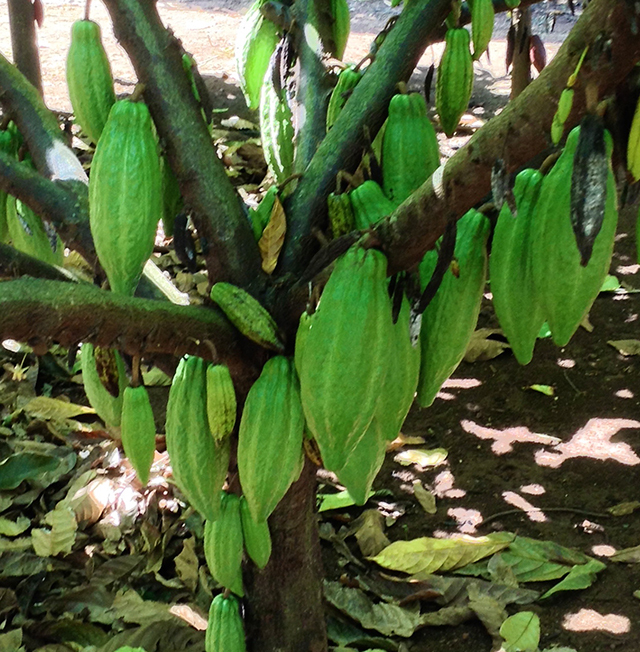 The exact same principle comes into play with chocolate, referring to where the cacao trees are grown. Beans from different trees will have unique tastes depending not only on the country they come from, but which part of the country they were grown in. For example, Peruvian cocoa beans can taste different based on whether they’re from the north, in the Cuzco area or from the Amazon. What was the most memorable experience you’ve had while searching for chocolate? In Puerto Viejo in Costa Rica, I was invited to come down and be a judge at their chocolate festival. 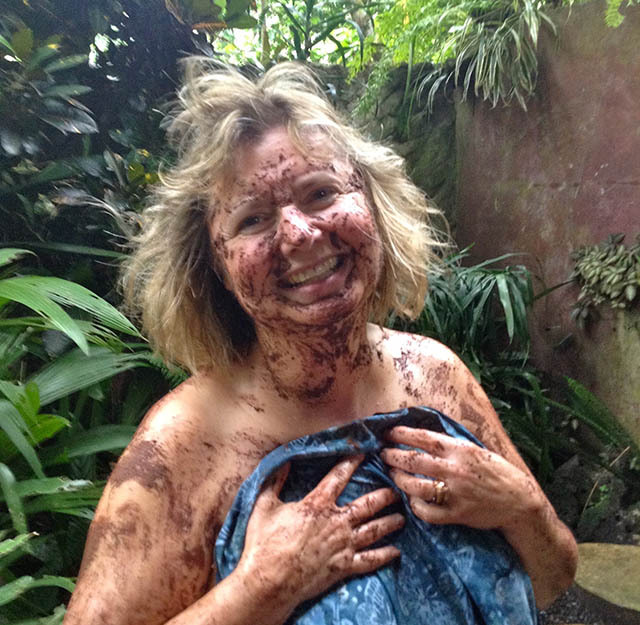 That in itself was fantastic because they grow some really great tasting cocoa there, but while I was there I had the privilege of going to the PURE Jungle Spa. They had the most amazing chocolate wrap—nothing comes close to this one. It’s made with fresh, locally grown cocoa and crafted into a paste on site. Then, they smother your body in this warm, aromatic chocolate elixir and wrap you in banana leaves and let you relax for an hour. It’s just an amazing feeling—the purpose is to detox the body (chocolate has unique properties that draw out toxins), and it produces a wonderful result when your skin is softer than it’s ever been. To me, that was just an amazing experience. What are your tips for finding chocolate while abroad? You can’t buy a lot of this fresh, handmade chocolate unless you go to its source—they don’t even ship it because it can get damaged or melt so easily. If you want to try some of these amazing flavors, you’ve got to go where the chocolate is made or where the cacao is grown. For the most part, the kind of chocolate that small artisan chocolate makers are producing has no preservatives or additives. Bars of pure chocolate will last up to a year or 18 months, but truffles, bonbons, or ganaches will only keep from one to three weeks for optimum flavor and texture. When people get a box of chocolates, I say, don’t keep it! Eat it! It doesn’t have a long shelf life. Where can we find good chocolate close to home? San Francisco is one of the best cities in the United States for chocolate. There are some chocolate makers there who would make a chocolate lover’s dream come true. Dandelion Chocolate is one of the most highly regarded chocolatiers in the country, and TCHO (pronounced “cho”) also makes very good chocolate. Dandelion focuses strictly on pure chocolate in their bars, they’re very small batch, hands-on. TCHO has some fun playful combinations and flavors in the bars they make. For people who like a textured bar, something that has a little bit of grittiness, Taza Chocolate in Somerville, Massachusetts is definitely good at that. Everybody has to find the right chocolate for themselves. I kind of deliberately created a misnomer in my book because no one kind of chocolate is best; I want people to look for what they like. You just need to keep searching and you’ll find it! Pick up a copy of Doreen’s book on Amazon or directly from Doreen at chocolatour.net.